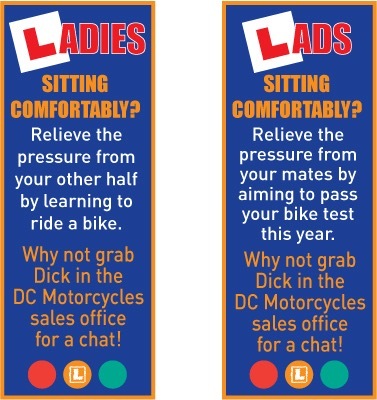 All candidates wishing to take the motorcycle practical test must sit and pass a motorcycle theory test. This is made up of two parts - theory and hazard perception. Various publications are available to study from, to pass this test. 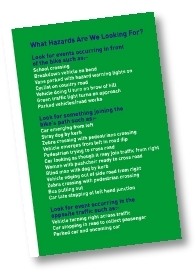 The hazard perception part is delivered on a computer and you respond by clicking a button on the mouse. You will be presented with a series of video clips which feature every day road scenes. In each clip there will be at least one developing hazard, but one of the clips will feature two developing hazards. To achieve a high score you will need to respond to the developing hazard during the early part of its development. The maximum you can score on each hazard is five. BMTC block book theory tests direct from the DSA on your behalf. *A full car licence holder prior to 1 Feb 2001 wishing to ride a 49cc moped on a road does not require a CBT. 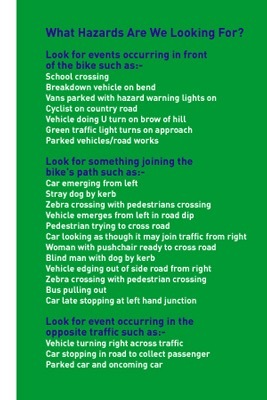 **It is important that you study the Highway Code prior to your CBT.